Some of the better threads for reading that get asked over and over again so you can catch up and maybe ask something new about the topic. I have noted what my exact search terms were and basically just grabbed some of the longer ones. Last edited by boostdemon; 07-29-2008 at 12:29 AM..
tis all for now, i'll do up a better version of v8, 16v, and ic, when i get a chance. i'll just summerize it all into one thread like i did w/ the penta and fuel system threads(16v, will be huge). Last edited by boostdemon; 10-02-2007 at 11:57 PM..
where are the T5 trans swap topics? A nice link for replacing the intermediate shaft is found here. Essential for using a B230F or B230FT etc out of a 740/940 in a 240. Last edited by frpe82; 01-02-2007 at 07:21 PM..
Tutorial: Fitting of Volvo Original Spacerkit, step by step (with pictures). FAQ about chips for the LH2.2 and LH2.4 + EZK. FAQ about LH2.2 and LH2.4 + EZK. How to retrieve, understand and reset OBD fault-codes. Please put this Wild Card at the top of the thread to make easier the searches and avoid repost. So, works like this: You want find info about the M90 transmission using the search function, but if you write M90 as a keyword yo got a error, so you put instead M90* and you got your results. is there any highly detailed staged upgrades for 700's around all the mentioned links are dead. Just found a build sheet. Instead of making it a sticky, I will post it in here. going to save this thread for sure thanks alot very helpful. Your experiences and ways of doing it better as well as questions are encouraged. Additional details on deviations from this engine, transmission and vehicle are also solicited. The intent is, through contributions from forum members, to create an single source of information that I would have dearly loved to have found 3 years ago when I began this project. Last edited by TestPoint; 04-02-2012 at 09:47 AM..
any articles on here about b230 240 Camshaft installs/Timing ect? 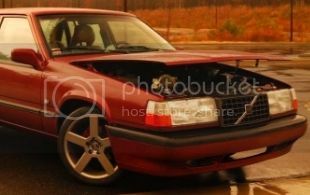 "Classic Volvo's with some fiddeling, will probably start up each time you take it out, however something will likely break on each trip. " 1.) 1990 244 DL - The Slow-Vo. 2.) 93 945 Tic - A hearse. haynes,chiltons or bently manual cover that, not a Performance topic. Great thread two important questions. I have thelostartof chips, is the computer able to compensate for timing above 20psi? The ability to retard it to compensate for boost. And second, is there a need at some point to install a MSD type ignition?